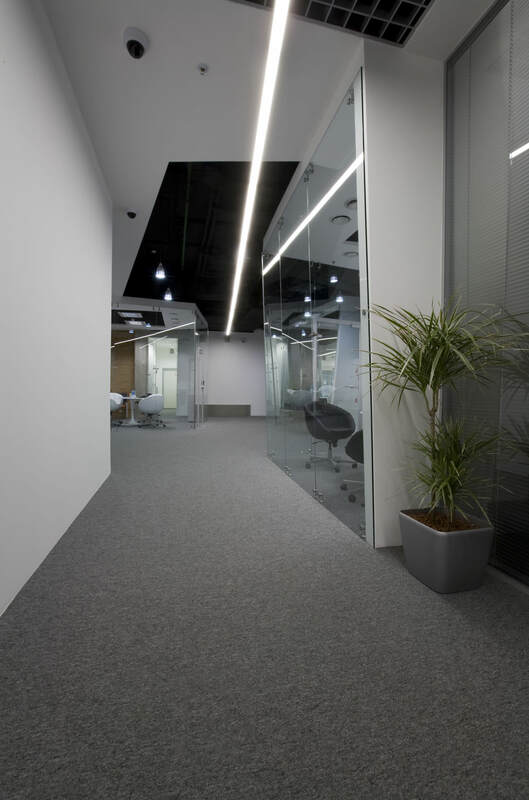 The office occupies all seven floors in one of two wings in the newly constructed business center «Krasnaya Roza -1». 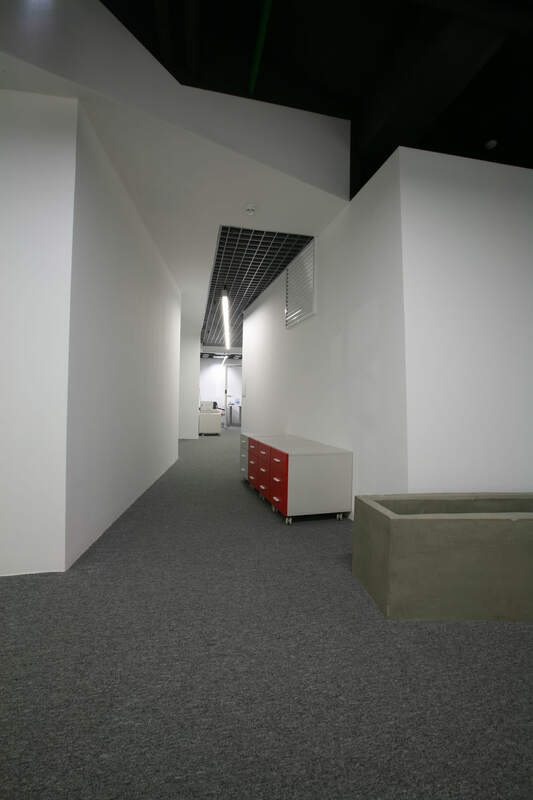 The wing is close to rectangle in section and consequently the office space is concentrated around the technical core with riser pipes. 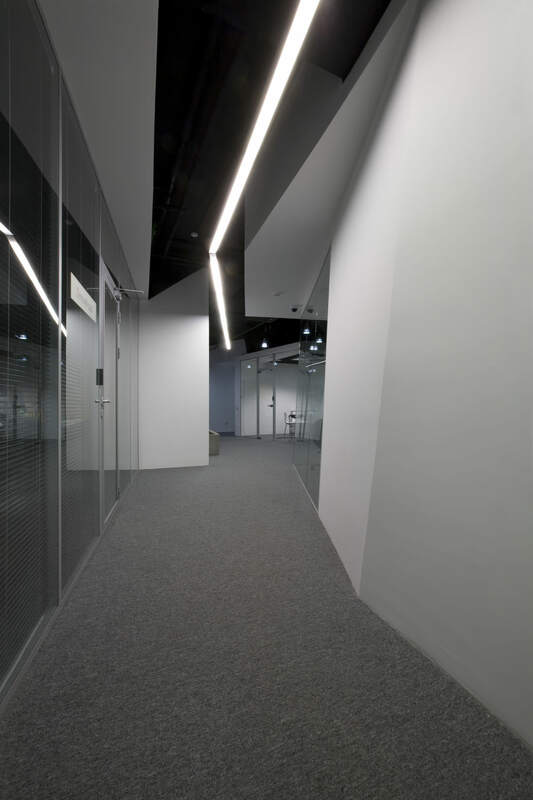 This construction peculiarity made it necessary to create sanitary facilities and other premises that demand water use — such as kitchens and coffee points — around them. 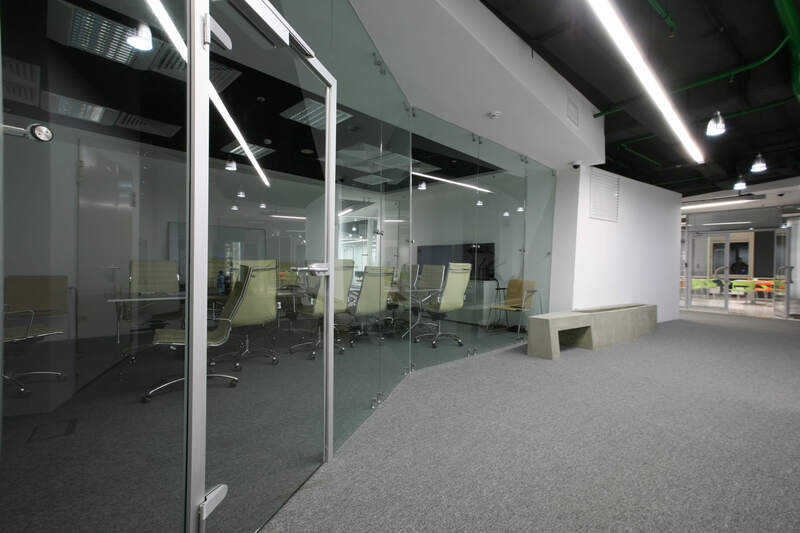 The office is finished in neutral colors — it is mainly grey, black and white. 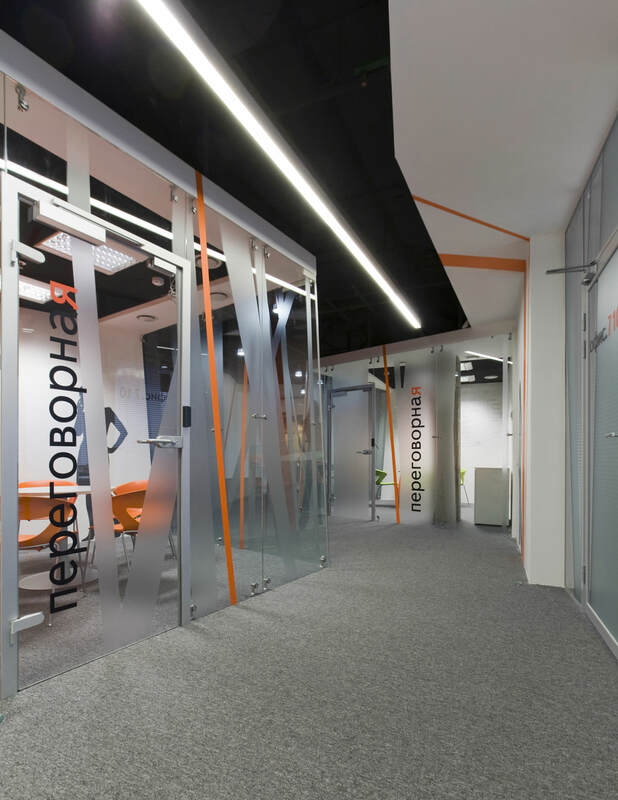 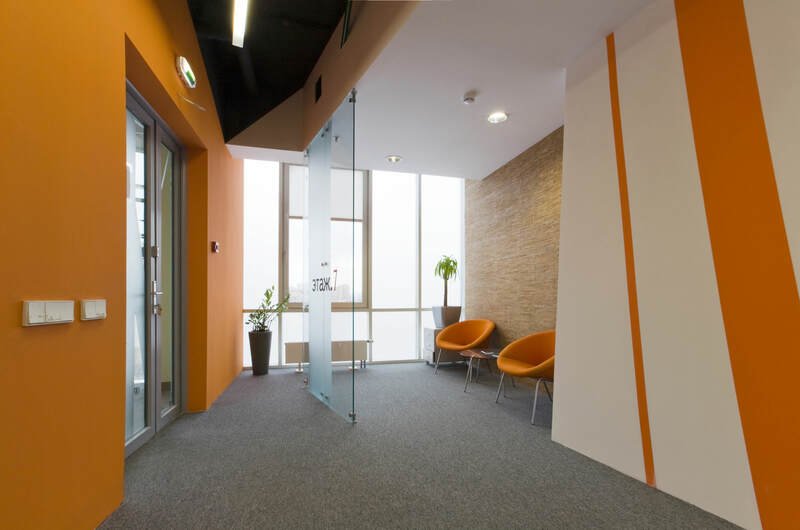 Translucent orange coating has been used to add bright and vivid color to the gray and white interior.